How is the quality? I am travelling to Italy in October and looking to get some local kits. Also according to the size chart I should be an XL. Normally in the US I am a M in jerseys. His first Wells Fargo ad was pretty much the same idea - I'm nobody now. I just love that post from Weah. He didn't get the memo about how Michael Bradley ruined everything. I assume it will be Chinese sizes? Made in China XXXL = Made in the USA L.
Honest, I've ordered jerseys not from DH Gate but through eBay, straight from Shanghai (Hong Kong uses Western sizes for the stuff they export though). No its pretty normal in my opinion. If anything order a size up, but the good sellers will have comments on their products where people will tell you if you need to order a size up. I have 2 Chinese XL kits ordered at the same time. Excellent quality, it would take an expert to know they are not 100% real. but one fits WAY tighter than the other even though they are the same size XL. Both are player fit Adidas Climachill. Are we getting a refresh anytime soon? Usually it changes post World Cup year. Might as well keep it since no one really saw them anyways. soccerusa517, Semblance17, ThePonchat and 2 others repped this. I bet there’ll be a 3rd kit come out before the Gold Cup. 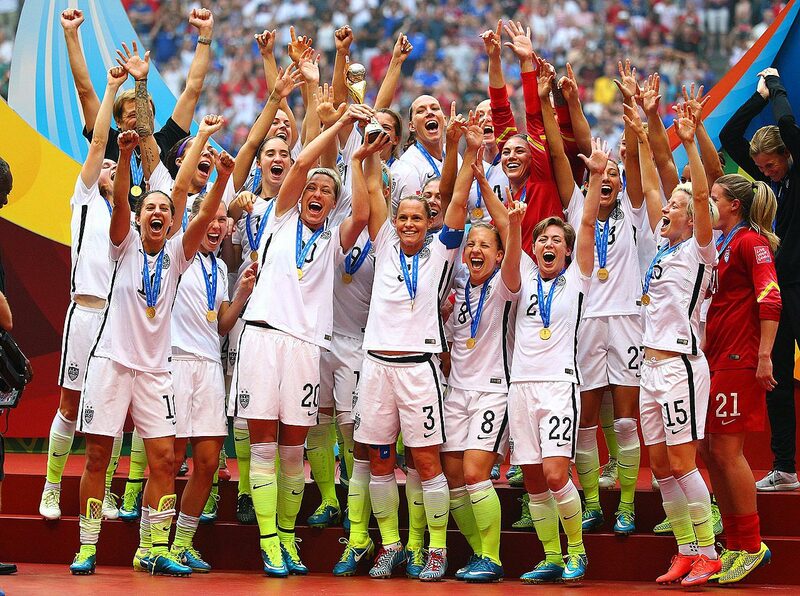 A better question is: will the USWNT get completely different kits for the WC. I hope not, but Nike gonna Nike. I don't really care, other than the design might also be picked up by the MNT, but I am almost sure the USWNT will get new unique kits for the WC. For sure on the men's side every team in the world gets new kits for WCs, and in this day and age I think the women's teams do too (at least in the US). 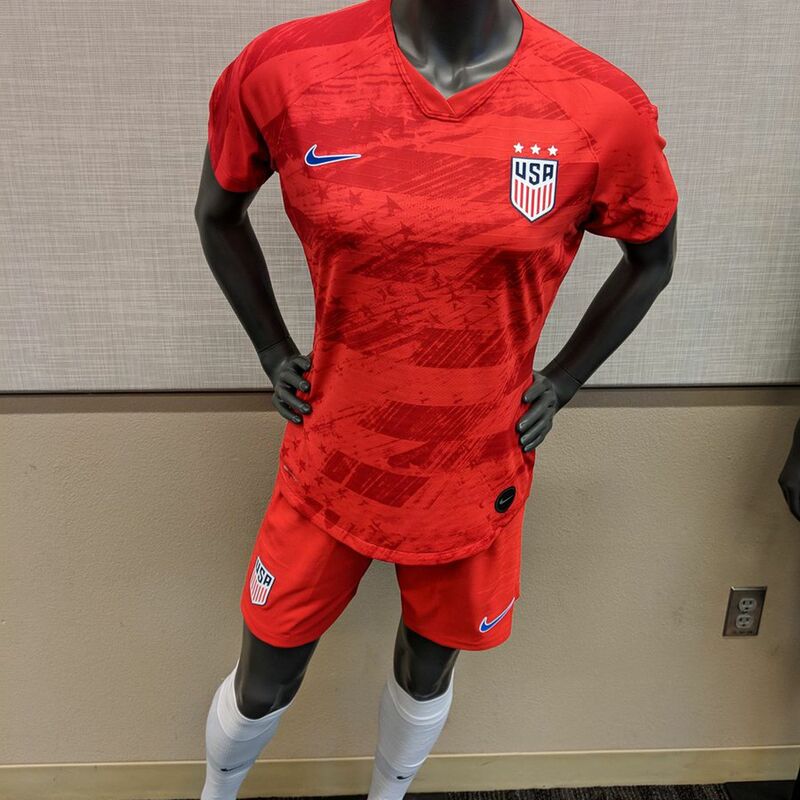 No way the USWNT plays WC19 in last year's kits. I really like the current ones as well. Red and white stripes should be our signature, IMO. If only Nike didn't have the red-to-blue fade thing. Or, at the very least, used navy blue instead of royal blue. UniversalAdvice, Suyuntuy, GiallorossiYank and 3 others repped this. Oof, looks like a training bib. jessyca, PabloSanDiego and Zinkoff repped this. jessyca, Suyuntuy and Mojo Jambo repped this. Agree with the black, white, and highlighter abomination we wore in 2015. These red jerseys—they look ok at first glance. I don’t hate them. Maybe they’ll grow on me. I’d like us to keep the white with red (/royal blue) stripes as our primary kit. I don't mind them but they make me think of Canada instead of the US.